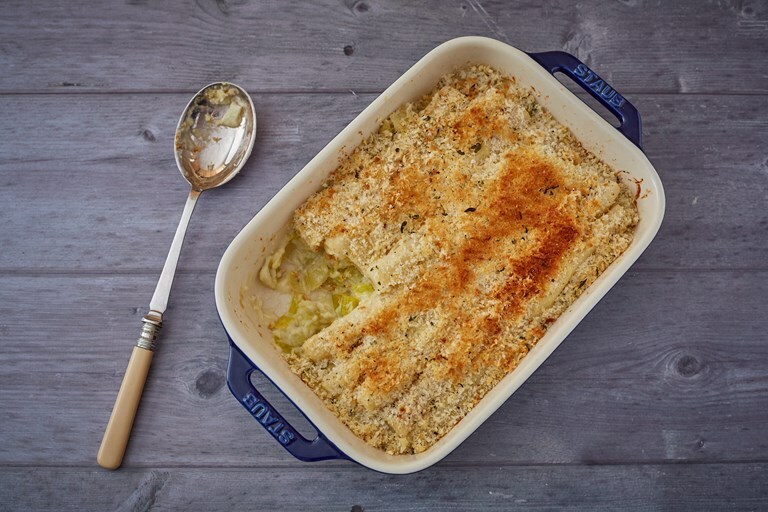 This leek and salsify gratin recipe is perfect for when you want something warm and comforting on a cold night. The cheesy sauce and silky leeks are perfect partners for the beautiful flavour of salsify – a seriously underrated winter vegetable. Make this dish vegetarian by omitting the Worcestershire sauce and swapping the Parmesan for an alternative hard cheese.